Baton Rouge, La. - Tiffany R. Wilkerson-Franklin, Ph.D., was appointed by Governor John Bel Edwards to serve on the Governor's Advisory Board of Juvenile Justice and Delinquency Prevention. Dr. Franklin was appointed on February 24, 2017 to serve on the Commission on Law Enforcement and Administration of Criminal Justice, Juvenile Justice and Delinquency Prevention Advisory Board for three years. 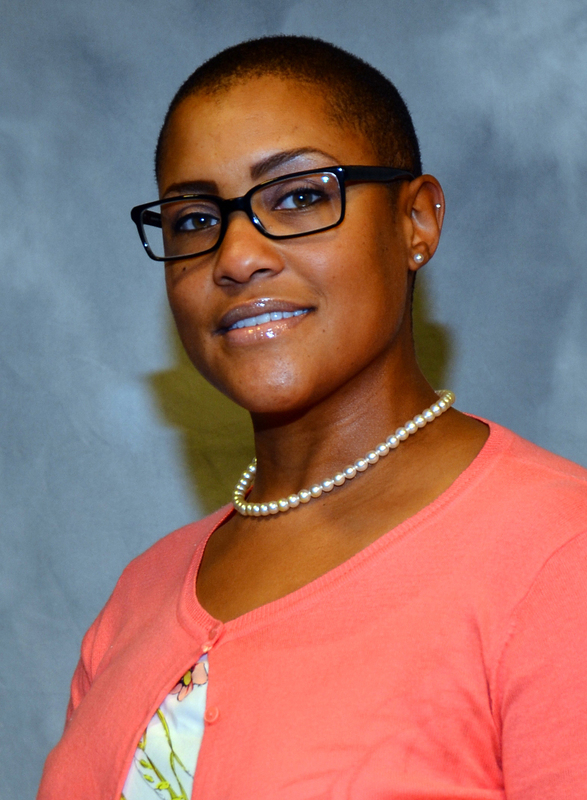 Dr. Wilkerson-Franklin currently serves in the capacity of Extension Project Coordinator at the Southern University Agricultural Land-Grant Campus. For additional information on the function of the Commission, click here. Baton Rouge, La. 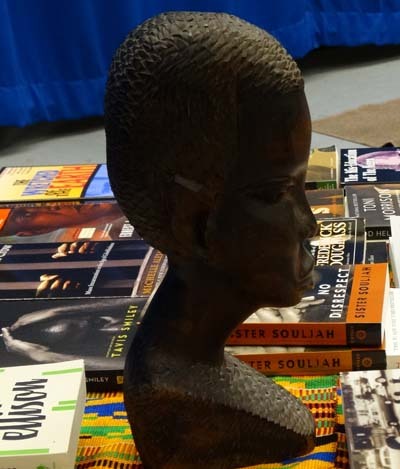 – The Southern University Land-Grant Campus celebrates Black History Month with the nation, and recognize some significant contributions made by African Americans to the field of agriculture. 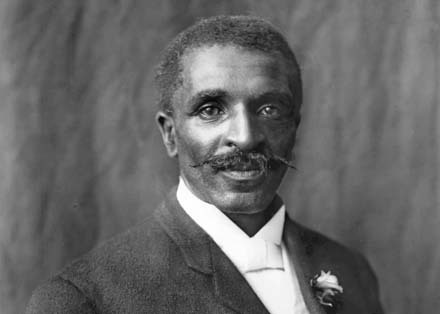 Paramount among them is George Washington Carver, the renowned botanist and inventor, whose research forever changed our lives for the better. Professor Carver, “the plant doctor” used his knowledge to teach farmers and students about new uses for crops like peas, sweet potatoes, and peanuts. He championed crop rotation and used soy plantings to replace nitrogen in depleted soil. Professor Carver’s knowledge of agricultural science resulted in a legacy that led to a healthier American population, and his innovative work to increase the uses of peanut crops—by using them to create products like ink, paper, soap, paints, and antiseptics—is credited with saving the agricultural economy of the southern United States. We all continue to benefit from his work today. George Washington Carver is just one of a great number of African Americans who improved the country and the world. Madeline M. Turner invented the first fruit press, allowing users to push fruit into an opening where it was sliced, then shifted between plates until it was juiced in a manner described like that of an assembly line. A U.S. patent review committee member called her invention “ingenious.” This complex engineering feat, essentially a self-contained assembly line, foreshadowed machines used in the food industry today. Lloyd August Hall developed innovative food preservation techniques. Norbert Rillieux invented a means of evaporating water that led to tremendous growth in the sugar industry. Booker T. Whatley pioneered Clientele Membership Clubs in the early 1980s, the forerunner of modern day Community Supported Agriculture. Percy Julian discovered important uses for soybeans, including the creation of the substance used in fire extinguishers, saving countless lives. “Enough cannot be said about the contributions that these African Americans and others have made to enhance and improve the lives of all people, and I am happy for this opportunity to express our gratitude. Please join me in honoring the generous improvements they made to agriculture, the United States, and the world. While February is Black History Month, the work they and so many others like them have performed on our behalf deserves our recognition and thanks every month of the year,” said Michael L. Young, Acting Deputy Secretary USDA. Dr. Bobby R. Phills, Chancellor-Dean of The Land-Grant Campus, speaks during the campus's Medical Marijuana Town Hall meeting on Feb. 23 at the SU Ag Center. Rani Whitfield, M.D., speaks about the benefits of Medical Marijuana at the SU Agricultural Land-Grant Campus's Town Hall Meeting on Feb. 23. 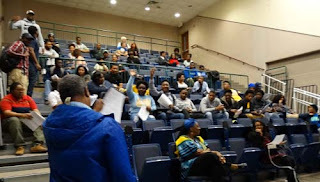 The Southern University Land-Grant Campus - consisting of the SU Ag Center and the College of Agricultural, Family and Consumer Sciences – held an informational Medical Marijuana Town Hall meeting on Thursday, Feb. 23 at the SU Ag Center. Attorney Winston Decuire, Jr. provided the community and potential vendors with an overview of the law which authorizes licensed physicians to recommend medicinal treatment for ten debilitating medical conditions. These conditions include Cancer, HIV, AIDS, Cachexia/Wasting syndrome, Seizure disorders, Epilepsy, Spasticity, Crohn’s Disease, Muscular Dystrophy and Multiple Sclerosis. The law also stipulates that the plant must be developed into pharmaceutical grade medicines such as oils, pills, powders, gelatin-based chewables and other non-inhalable forms. During the meeting Rani Whitfield, M.D., spoke about a five-year-old girl from Colorado named Charlotte, who suffered from Epilepticus and Autism along with several other health complications. There was no mediation that could control Charlotte’s seizures and she relied on a feeding tube for nourishment. After 20 months of receiving low doses of marijuana plant extract, Charlotte was able to feed herself by mouth and her autistic behaviors improved. Dr. Janana Snowden, director of the Southern Institute of Medicinal Plants, stated that the University is planning to release a Request for Proposals (RFP) or Solicitation for Offers (SFO) in mid-March, with a 30-45 day application period. The University also plans to select a single vendor to contract with by mid to late summer. The University has also identified undeveloped land at the Southern University Agricultural Research and Extension Center’s Experiment Station in Baker, La., as the location of the facility. This site is located off the campus and students will not be involved in the growing or processing of the cannabis component. The vendor will be required to make an investment of $5-7 million and must be able to conduct a seed to sale operation. Chancellor-Dean Dr. Bobby R. Phills expressed his desire for the Land-Grant Campus to help educate the community. 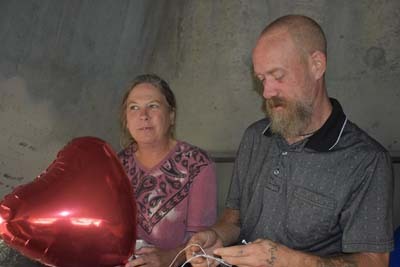 “This Medical Marijuana Program will give us the ability to reach out into the community and provide some help by making medicine for debilitating medical conditions. We will also conduct research on other medicinal plants through the Southern Institute of Medicinal Plants,” said Phills. For additional information, contact Dr. Snowden or LaKeeshia Lusk at 225-771-2242. Baton Rouge, La. – Acting Deputy Agriculture Secretary Michael Young has announced that U.S. Department of Agriculture (USDA) is investing up to $103 million in fiscal year 2017 for disaster recovery efforts to help state, local and tribal units of government protect lives and property in disaster-affected areas following natural disasters. Baton Rouge, La. - The Southern University Agricultural Land-Grant Campus’s 23rd Annual Black History Quiz Bowl held on February 21 was a huge success. 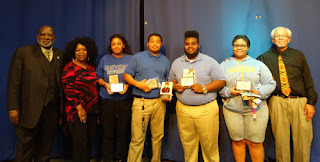 This year, the Bluez & Goldz Team, comprising of Myeisha Webb, Kelvin Wells, Jr., Terrence Curry, Joyner Deamer, and Eric Thompson, Jr. took first place. The Urban Roots Team came in second place, and the Kemeits Team finished in 3rd place. 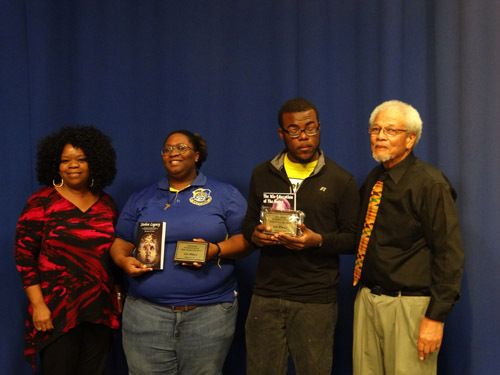 The top three teams took home plaques while each contestant had a choice of book by an African American or about some aspect of the Black experience from the available collection. Dr. Bandele expressed his appreciation for the turn out and number of participating teams and reinforced the development offered to students in preparing, organizing teams and being inspired by knowledge of the black heritage. Baton Rouge, La. - The Land-Grant Campus seminar in March will feature Patti R. Rose, MPH, Ed.D., Director & Founder, Rose Consulting, Miami, Florida. 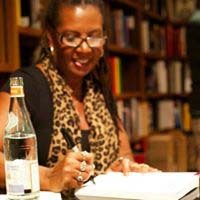 She will discuss from her book “Health Disparities, Diversity and Inclusion: Context, Controversies & Solutions,” on Thursday, March 16 in Room 191, A.O. Williams Hall, Southern University, Baton Rouge, LA at 3:00 p.m.
During this lecture and book signing event, Dr. Rose will examine the health status gap in the U.S.; diversity and inclusion; mass incarceration; educational disparities; the school (K-12 children) to prison pipeline; concerns regarding women, children, rural and urban environments; food injustice and other current, critical issues. The focus of the book is not solely on problems, but SOLUTIONS, in every chapter! Full details are available on our website at http://bit.ly/2lDewjy. These seminar series provide the Southern University faculty, staff, students and the Baton Rouge community with information on food and agriculture, academic and research updates that impact the food and agricultural communities, and the citizens of Louisiana. This seminar is unique in that it focuses on health relative to agriculture. Members of Southern University in Baton and surrounding communities are invited to participate in this timely lecture, and to grab a copy of this very enlightening book. Antonio Harris and Kayla Fontenot speak to 11th and 12th graders during the Sustainable Agricultural, Rural Development Institute's (SARDI) 1st annual Work-Based Learning Conference on Feb. 2 at the LSU Eunice campus. Baton Rouge, La. – The Sustainable Agricultural, Rural Development Institute (SARDI) – formerly known as the Southwest Center for Rural Initiatives - participated in the 1st Annual Work-Based Learning Conference on Feb. 2 at the Louisiana State University at Eunice (LSUE) campus. Approximately 60 Juniors and Seniors from Opelousas Senior High School’s Magnet Academy of Biomedical Sciences in Opelousas, La. attended the conference, which was held to further prepare students for their college and workforce entrances. SARDI led a presentation that targeted areas such as professional dress and soft skills in the workplace. Kayla Fontenot, a Youth Agent at the Southern University Land-Grant Campus, covered professional dress as well as workplace readiness skills during the session. Antonio Harris, Research Associate and Director of SARDI, wrapped the session up with personal experiences that were related to professional dress and workplace readiness. Chasity Johnson, Outreach Program Assistant, sat in to assist with the audiovisual operation and was astounded by the response of the students and thought they were very receptive to the information provided. Students from SARDI’s ‘Youth Ambassadors for Healthy Living’ Program also participated in the conference by dressing in professional and non-professional attire and performing skits about professional dress and workplace readiness. The entire SARDI staff agreed that the conference was much-needed and it provided students with information to assist them as they enter their college and workforce years. Baton Rouge, La. – The Southern University Board of Supervisors voted to approve a logo redesign and revision to the mission statement for the Southern University Land-Grant Campus during their regular meeting on Friday, February 17, 2017. The board also approved the renaming of the SU Ag Center’s satellite campus in Opelousas from the Southwest Center for Rural Initiatives to the Sustainable Agricultural, Rural Development Institute (SARDI), and the establishment of the Southern Institute for One Health, One Medicine (SIOHOM), which will serve as an umbrella organization that promotes interdisciplinary research, teaching, and outreach/extension to improve the lives both humans and animals. Baton Rouge, La. - Small farmers from throughout the state will gather at the Southern University Ag Center March 16-18 to attend the 7th annual Louisiana Small Farmer Conference. Registration for the conference is complimentary for anyone who submits their registration form by Friday, March 3. On-site registration will begin at 8 a.m. daily. Conference speakers will include Jay Grymes, Chief Meteorologist at WAFB News Channel 9; Brandon Davis, Ag Labor Attorney at Phelps Dunbar, LLC. ; Leonard Jordan, Associate Chief for Conservation at the National Resources Conservation Service (NRCS) and Brennan Washington, Minority Farmer/ Outreach Specialist at the Sustainable Agriculture Research and Education Program (SARE). 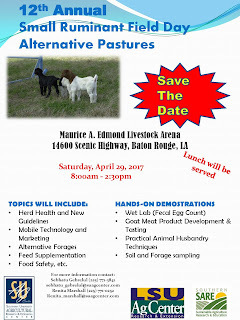 To register, visit http://www.suagcenter.com/small-farmers or contact Kelli Hollins at 225-771-2242 or via e-mail at kelli_hollins@suagcenter.com. Baton Rouge, La. – The U.S. Department of Agriculture (USDA) reminds farmers and ranchers, families and small businesses that could potentially be affected by the recent storms that USDA has several programs that provide assistance before, during and after disasters. USDA staff in the regional, State and county offices in the states of Georgia, Louisiana and Mississippi are ready to help. Property and Shelter; Food Safety and Food Assistance; Crop and Livestock Loss; and Community Recovery Resources. USDA National Institute of Food and Agriculture provides support for disaster education through the Extension Disaster Education Network (EDEN). For complete details and eligibility requirements regarding USDA's disaster assistance programs, contact a local USDA Service Center (http://offices.sc.egov.usda.gov/locator/app). More information about USDA disaster assistance (http://www.usda.gov/documents/fact-sheet-usda-programs-assist-individuals-small-businesses.pdf) as well as other disaster resources is available on the USDA Disaster Resource Center website. In a continuing effort to better serve the public, USDA has developed a new and improved central resource for disaster related materials. In partnership with the Federal Emergency Management Agency and other disaster-focused organizations, USDA created a Disaster Resource Center (http://www.usda.gov/wps/portal/usda/usdahome?navid=disaster-help) website, utilizing a new online searchable knowledgebase. This knowledgebase is a collection of disaster-related resources that are powered by agents with subject-matter expertise. The Disaster Resource Center website and web tool now provide an easy access point to find USDA disaster information and assistance. Full details available at USDA website. Baton Rouge, La. – On Saturday, February 11, the SU Ag Center’s Jaguar Leader (Jag Lead) Club, and Outstanding Mature Girlz (OMG) Club served nearly 200 “Bags of Love” to homeless individuals under the Trevor J. Sims Memorial Bridge. The club members traveled from St. Helena & Tangipahoa Parishes to participate in Love Fest 2017 as part of the clubs monthly service focus, which is knowledge. Club members were introduced to a pressing issue that plagues the capital city, and that is homelessness. For the very first time students from both parishes were able to witness what life looks like when individuals do not have anywhere to turn for resources. Students also conducted an interview with homeless, 41-year old, Walter Lashell Sr., to gain knowledge on how someone could reach such deprived conditions. Baton Rouge, La - The Southern University Ag Center and College of Agricultural, Family and Consumer Sciences are set for the 2017 Black History Quiz Bowl. The 23rd annual event will be held in the auditorium at Southern University Ag Center on Tuesday, February 21, at 3 pm. Teams may register at the College of Agricultural, Family, and Consumer Science Dean’s Office in Fisher Hall rm. 102 or by emailing rosters to obandele@cox.net. Please hurry, time is running out! Baton Rouge, La. – The Southern University Land-Grant Campus - consisting on the SU Ag Center and College of Agricultural, Family and Consumer Sciences - will host a Medical Marijuana Town Hall Meeting on February 23, 2017 at 2 p.m. in the Southern University Ag Center – A. O. Williams Hall, 181 B. A. Little Drive in Baton Rouge, La. The meeting will provide an overview of the Land-Grant Campus' medical marijuana venture. Potential vendors and the public at large are invited to attend the Town Hall. The event is free. Individuals must pre-register to attend the meeting by visiting www.suagcenter.com/townhall. The Land-Grant Campus is requesting that all questions from vendors regarding the Medical Marijuana Program be emailed in advance to Dr. Janana Snowden at, janana_snowden@suagcenter.com. The deadline to submit questions will be 12 p.m. on February 21, 2017. All questions received will be addressed during the Town Hall. Baton Rouge, La. 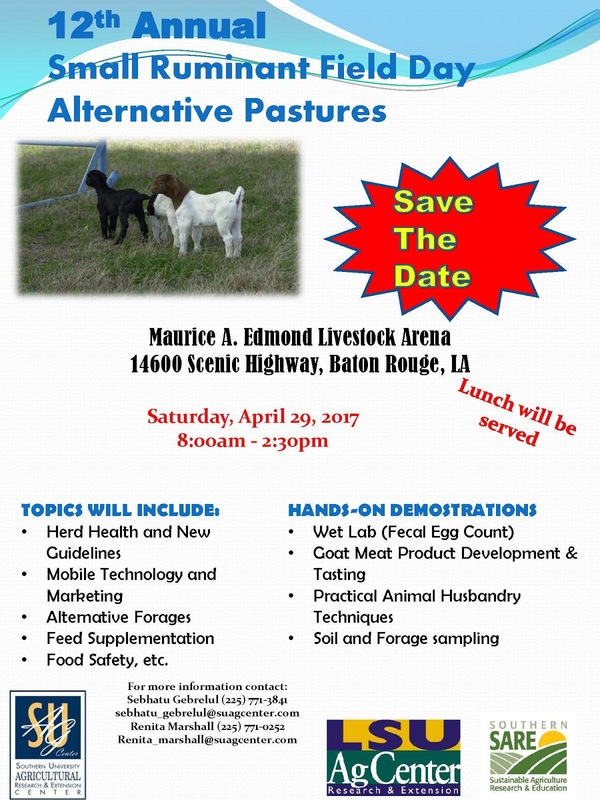 - The Southern University Agricultural Research & Extension Center and College of Agricultural, Family and Consumer Sciences (the Land-Grant Campus) will be hosting its annual National Ag Day celebration on Tuesday, March 21, 2017 from 9:00 A.M. 1:00 P.M. This year’s theme is “Food for Life.” National Ag Day is a nation-wide celebration where individuals and institutions recognize the importance of agriculture and how it relates to everyday life. National Ag Day recognizes and celebrates the abundance provided by American agriculture. Join us on March 21 to show your appreciation to all those in the agriculture industry responsible for feeding over seven billion mouths every day. 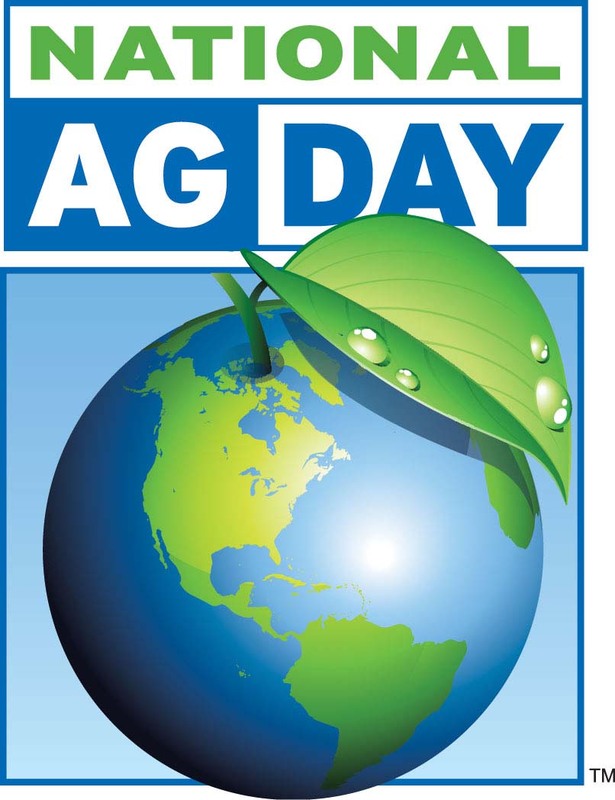 Ag Day wants to help young people acknowledge and consider career opportunities in the agriculture, food and fiber industries. Youth and adults are invited to come and experience live animal demonstrations, food demonstrations, technology and more at Southern University in Baton Rouge. Students will learn how agriculture impacts their daily living and how to sustain healthy living for life through food. 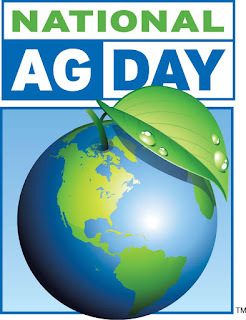 The importance of the food and agricultural industry and its contribution statewide, nationally, and globally will be discussed with Ag Day participants. Presentations in relevant areas will be made by university faculty, staff, students and other community partners. This event will be held at Southern University F.G. Clark Activity Center - SU mini dome, Baton Rouge, La. We look forward to your participation! For more information and to RSVP, please contact Dr. Renita W. Marshall at (225)771-0252. Baton Rouge, La - The Southern University Agricultural Research and Extension Center is exposing youth at all levels of education to high paying careers in agriculture while seeking prospective students for the College of Agricultural, Family and Consumer Sciences. 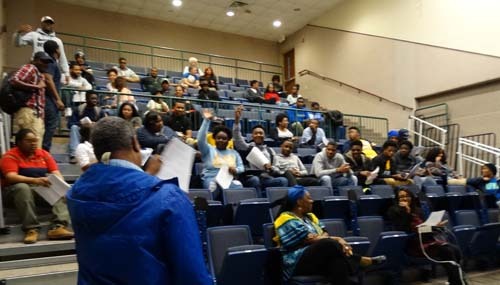 Dr. Andra Johnson, Vice Chancellor for Research and Technology Development at the Southern University Ag Center jumped at the chance to interact with youth at the Baton Rouge Center for Visual and Performing Arts earlier in February, 2017. During the Student Career Day, Dr. Johnson discussed with a class of 2nd graders his lucrative job based on his agricultural science degree. He also taught them where samples of waste should be placed to reduce negative impact on the environment. Read more at the BRCVPA blog page or click here: http://www.brcvpa.com/blog/career-talk-in-ms-cruzs-class. If you like this article, Follow us on Twitter; Like us on Facebook. Baton Rouge, La - The joint Southern University Ag Center and College of Agricultural, Family and Consumer Sciences 2017 Black History Quiz Bowl will be held in the auditorium at Southern University Ag Center on Tuesday, February 21, at 3 pm. Teams may register at the College of Agricultural, Family, and Consumer Science Dean’s Office in Fisher Hall; at the SU Ag Center front desk; or they can email rosters to obandele@cox.net. Plaques will be awarded to 1st, 2nd and 3rd place teams, and all participants will receive a book by or about some aspect of the Black experience at the end of the event. If this article is helpful to you, like us on Facebook, follow us on Twitter. Baton Rouge, La. 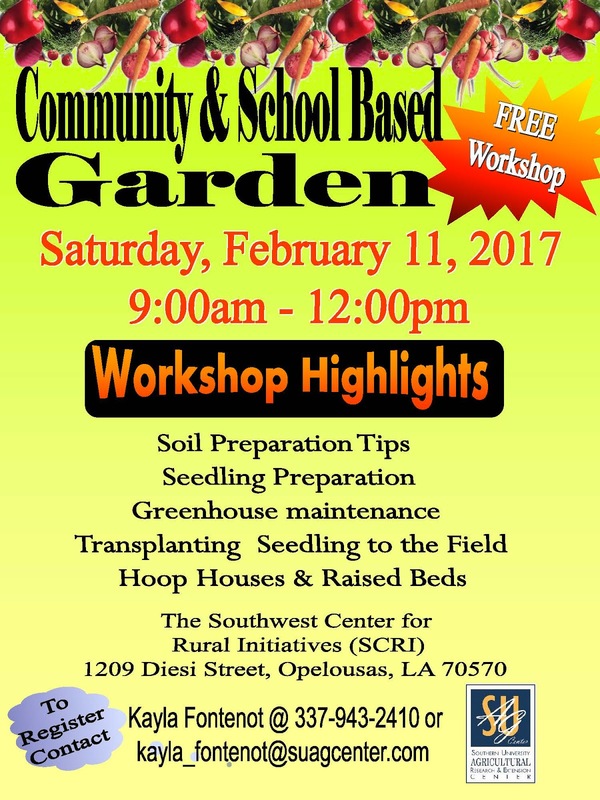 – The Southwest Center for Rural Initiatives (SCRI) - a satellite campus of the Southern University Ag Center – will host a Community and School Based Gardening Workshop on Saturday, Feb. 11 from 9 a.m. – 12 p.m. at the SCRI, 1209 Diesi Street, in Opelousas, La. 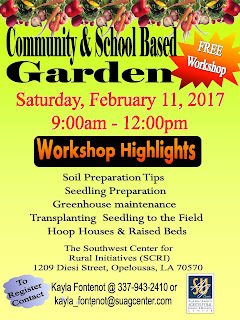 School and community garden coordinators, small and large farmers and backyard gardeners are invited to attend the workshop, which is free and open to the public. For more information or to register, contact Kayla Fontenot via phone at 337-943-2410 or email her at kayla_fontenot@suagcenter.com.